(1868-1937) Painter. Born in Glasgow, Scotland on October 3, 1868. Coutts studied art in Glasgow, London and in Paris at Academie Julian under Lefebvre, Fleury, and Rossi. After his stay in Paris, he moved to Melbourne, Australia where he was an instructor at the Art Society of New South Wales for several years during the late 1890's. Upon returning to London in 1899, he exhibited at the prestigious Royal Academy. In 1902 he and his wife, Alice, moved to San Francisco where he became an active member and exhibitor of the Bohemian Club while maintaining a home across the bay in Piedmont. An itinerant globetrotter, he traveled to remote places in search of subject matter. During his early period his work embraced Tonalism, whereas, his style later changed to the brighter, colorful palette of Impressionism. Ill health necessitated his move to drier climate and about 1925 he settled in Palm Springs, CA. There he built a French-Moroccan style castle where he remained until his death of tuberculosis on Feb. 21, 1937. Works held: Oakland Museum; De Young Museum; Cleveland Museum; Melbourne Art Gallery; National Art Gallery (Sydney); Palm Springs Desert Museum. 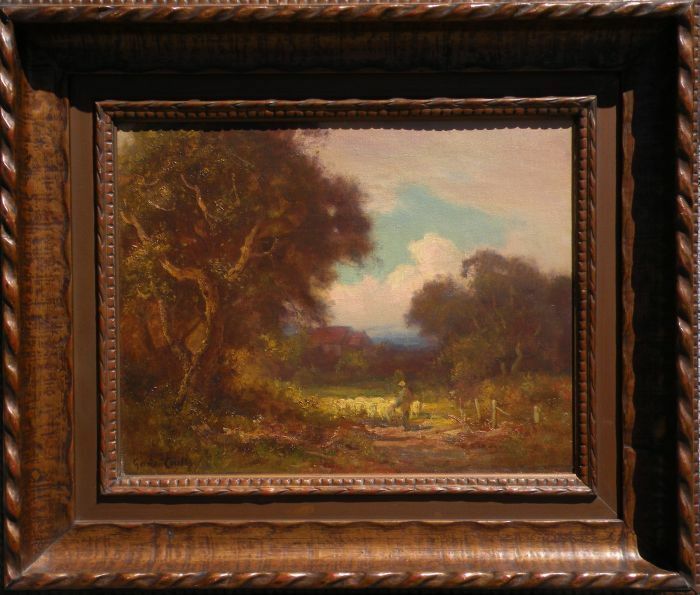 Exhibited: Bohemian Club; Del Monte Art Gallery; Alaska-Yukon Expo; Paris Salon; Pan Pacific International Expo; California Artists Golden Gate Park Museum.